Feb 2 2018 (IPS) - Tackling malnutrition is essential for the realisation of the Sustainable Development Goals by 2030, and will be critical for the African continent to reach its full development potential. Studies in Africa evidence that the economic impact of undernutrition can reach up to 16.5 percent of a country’s GDP, not to mention the social burden in terms of wellbeing and health of the population, among others. The magnitude of the impact malnutrition has highlights the need investments capable of delivering results on the multiple factors influencing nutrition indicators. 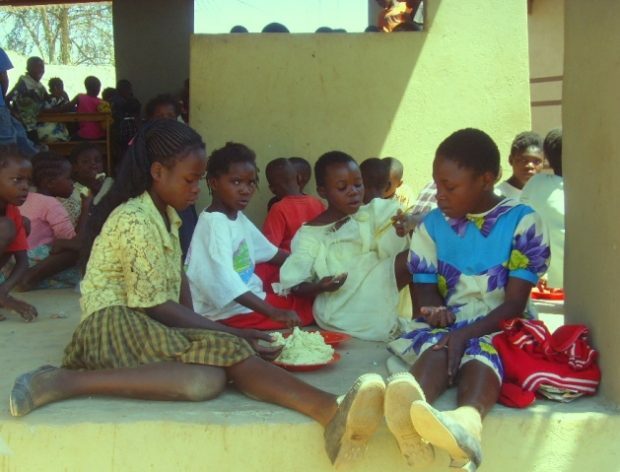 School meals is one of such investments. School meals can play an important role by connecting different elements of food systems such as child nutrition, nutrition education and agriculture that are essential to promote sustainable, resilient food systems for healthy diets. An analysis of 47 African countries indicate that over half of them have high or very high rates of stunting, with overall number of stunted children having risen in recent years. At the same time, the prevalence of overweight and obesity is on the rise with an increase in child overweight by 50 percent from 2000 to 2015, setting a new public health challenge. African countries have committed to the elimination of malnutrition in all its forms at the International Conference on Nutrition 2 (ICN2), and have endorsed its recommendations with measures to promote an enabling environment. Among others, these recommendations call for: enhancing political commitment and social participation; strengthening national cross-government, multi-sector mechanisms; increasing investment in nutrition with domestic finance; promoting South-South and triangular cooperation; and strengthening nutrition governance. Overall, they require the expansion of national nutrition frameworks, which should encompass the expansion of school meals programmes. 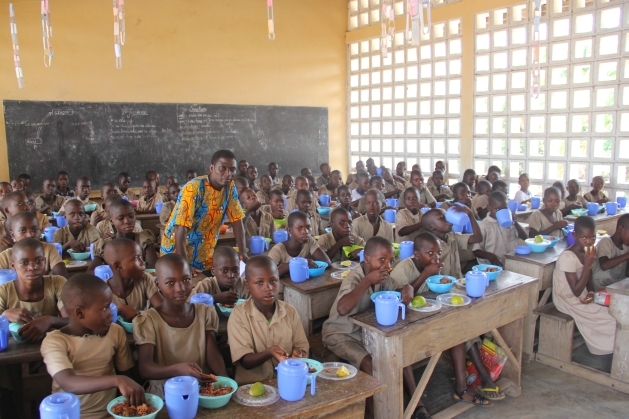 School meals can play an important role by connecting different elements of food systems such as child nutrition, nutrition education and agriculture that are essential to promote sustainable, resilient food systems for healthy diets. Home-grown school meals programmes act in this sense as important platforms to promote sustainable food systems that will lead to better nutrition in countries. 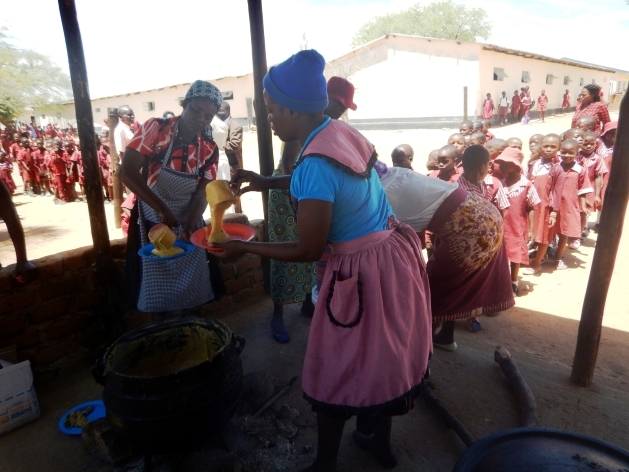 School feeding programmes can improve nutrition rates among children through the delivery of adequate and balanced meals. In addition to influencing the eating habits of children and their families through the choice of food included in school menus, school means can also envisage nutrition education to children and the school community. Another potential of these programmes is to foster local production, specially from smallholder farmers, through local purchases. Considering the multiple policy areas encompassed by school meals, the involvement of various government sectors in programme design and implementation is central to achieve programmes’ intended results. The WFP Centre of Excellence against Hunger in Brazil has promoted South-South Cooperation to enhance national food security frameworks from a multi-sector perspective, through home-grown school meals. It works closely with African governments to strengthen multi-sector coordination mechanisms, and several of them are making significant progress in this area. The political support provided by the African Union is also fundamental for the expansion of nutrition specific and nutrition-sensitive programmes, as well as for increased domestic investment in them. The Centre of Excellence is supporting the AU in the elaboration of the Sustainable School Feeding across the African Union study, which provides policymakers with an evidence-based overview on how national school feeding features affect multiple infant and juvenile health and nutrition in the African continent. Its evidences indicate that national school feeding programmes contribute to positive outcomes on schoolchildren’s anthropometric measurements – such as height, weight, and body mass index – micronutrient status, reported short-term hunger, and incidence of illness. In order to continue progress in strengthening national nutrition frameworks, the Centre of Excellence supports governments to leverage schools as spaces to promote better nutrition and sustainable food systems. Governments should also increase coordination among different sectors to improve the delivery of nutrition outcomes in nutrition sensitive programmes, as for example in school meals and cash transfer programmes. Other measures that can contribute in this sense are the strengthening of local food systems that will provide fresh and nutritious food, and promoting consumption of traditional food with high nutritional value. Addressing current generations’ malnutrition and ensuring that new ones enjoy healthier lives require intense dedication to improving children’s access nutritious diets. As we empower children to have access to adequate food and make choices that contribute to healthy diets, we contribute to changing the nutrition landscape in Africa. * Daniel Balaban, an economist, is the Director for World Food Programme’s (WFP) Centre of Excellence against Hunger. He has also led the Brazilian national school feeding programme as the President of the National Fund for Education Development (FNDE), which feeds 47 million children in school each year. Prior to this, he worked in the private sector as the President of Fiscal Council of Bank Banespa Leasing and as the Fiscal Counsellor of Banco do Brasil Turismo. Additionally, he has been a financial analyst for the Ministry of Finance, an Economic Advisor to the Secretary of the National Treasury, and the National Coordinator of the Studies of the Fiscal Economy. In 2003, he served as the Special Advisor to the Secretary of the Council of Economic and Social Development under the Presidency of the Federative Republic of Brazil. World Health Organisation, Nutrition in the WHO Africa Region, 2017. UNICEF,WHO,World Bank, Joint child malnutrition estimates 2017, 2017.